I have sold a property at 305 12099 HARRIS RD in PITT MEADOWS. Great opportunity to have your office at a high tech new building. Your neighbouring businesses are Orthodontics, Yoga Studio, Notary Public, and Dentist's Office. On Ground Level, it hosts Pitt Meadows Public Library as well as Waves Coffee amongst numerous other anchor businesses. This corner office is located on the 3rd floor with floor to ceiling windows which welcome plenty of light as well as a view of downtown Pitt Meadows. It is currently equipped with brand new Tile flooring, kitchen, drapes and paints, ready to be used as it is, or partitioned for your specific business needs (in total: $40,000 worth of renovation). Possible Rental Income: $16 per SQFT per annum, plus operating expenses in the amount of $10 per SQFT per annum. This would approximately translate to $2,310 per month gross rent for 1,066 SQFT office space. Also listed For Lease on MLS V4040017. The unit comes with 2 parking stalls and HVAC included. Listed BELOW B.C. Assessment: $330,000. I have sold a property at 4 19240 119 AVE in Pitt Meadows. Large well kept 3 bedroom Townhouse at over 1800 square feet with a fully finished basement in a very private convenient location. Nothing to do here but move in. Designer paint throughout, 3 fully finished levels and brand newer carpeting. Open and spacious with an abundance of natural light. Master bedroom is large enough for King Sized furniture with a walk through closet leading into the ensuite washroom. Fully finished lower level family/Rec room which is a great place for the kids to hang out. Spacious bright living area on the main floor leading out to the very private Patio with your own side yard. Private yard is fully fenced with high cedars lining the back fence. A very nice play ground is located behind the townhouse. I have sold a property at 303 12069 HARRIS RD in Pitt Meadows. Bargain Price: Similar unit 503 (only 2 floors higher) just sold for: $412,000. Welcome to Solaris! Impressive 1,001 SQFT, 2 bdrm, 2 bath plus den home offers an open & spacious kitchen featuring granite countertops, stainless steel appliances, laminate flooring and contemporary colour scheme. This corner unit boasts floor to ceiling windows with Northwest exposure. Centrally located next to new library, shopping, daycare facilities and a very short distance to recreation and West Coast Express. Comes with parking, Locker and additional in-suite storage. The building is still under additional 4 year warranty. [OAC: -Mortgage- Downpayment: $19,000, Monthly: $1,700]. Please visit our Open House at 303 12069 HARRIS RD in Pitt Meadows. [OPEN HOUSE: JULY 2nd, 03:00-04:00 p.m.]-Bargain Price: Similar unit 503 (only 2 floors higher) just sold for: $412,000. Welcome to Solaris! Impressive 1,001 SQFT, 2 bdrm, 2 bath plus den home offers an open & spacious kitchen featuring granite countertops, stainless steel appliances, laminate flooring and contemporary colour scheme. This corner unit boasts floor to ceiling windows with Northwest exposure. Centrally located next to new library, shopping, daycare facilities and a very short distance to recreation and West Coast Express. Comes with parking, Locker and additional in-suite storage. The building is still under additional 4 year warranty. [OAC: -Mortgage- Downpayment: $19,000, Monthly: $1,700]. 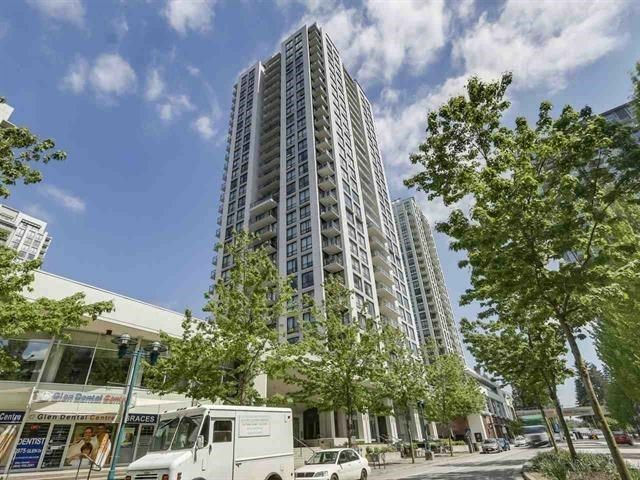 [OPEN HOUSE - SAT, JUNE 25, 01:30-02:30] Bargain Price: Similar unit 503 (only 2 floors higher) just sold for: $412,000. Welcome to Solaris! Impressive 1,001 SQFT, 2 bdrm, 2 bath plus den home offers an open & spacious kitchen featuring granite countertops, stainless steel appliances, laminate flooring and contemporary colour scheme. This corner unit boasts floor to ceiling windows with Northwest exposure. Centrally located next to new library, shopping, daycare facilities and a very short distance to recreation and West Coast Express. Comes with parking, Locker and additional in-suite storage. The building is still under additional 4 year warranty. [OAC: -Mortgage- Downpayment: $19,000, Monthly: $1,700]. I have listed a new property at 303 12069 HARRIS RD in Pitt Meadows. 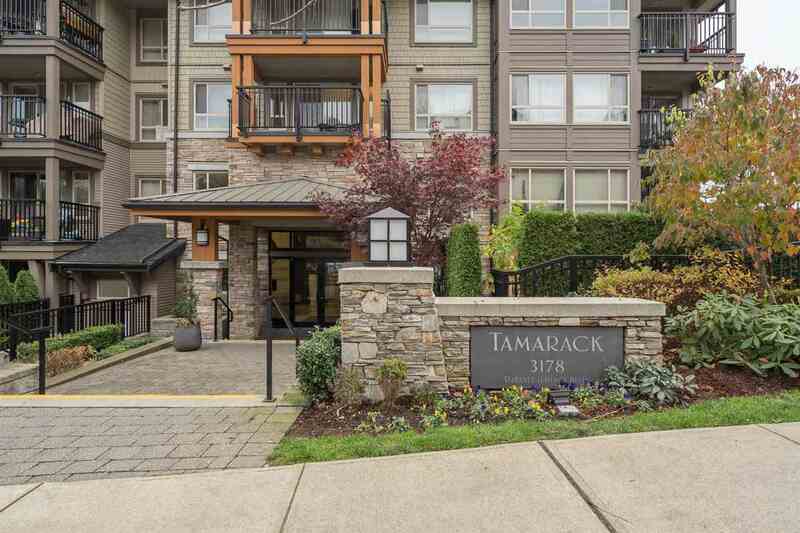 [OPEN HOUSE: TUE, JUNE 21, 05:30-06:00 PM]-Bargain Price: Similar unit 503 (only 2 floors higher) just sold for: $412,000. Welcome to Solaris! Impressive 1,001 SQFT, 2 bdrm, 2 bath plus den home offers an open & spacious kitchen featuring granite countertops, stainless steel appliances, laminate flooring and contemporary colour scheme. This corner unit boasts floor to ceiling windows with Northwest exposure. Centrally located next to new library, shopping, daycare facilities and a very short distance to recreation and West Coast Express. Comes with parking, Locker and additional in-suite storage. The building is still under additional 4 year warranty. [OAC: -Mortgage- Downpayment: $19,000, Monthly: $1,700]. [OAC: -Mortgage- Downpayment: $19,000, Monthly: $1,700]. Welcome to Solaris! Impressive 1,001 SQFT, 2 bdrm, 2 bath plus den home offers an open & spacious kitchen featuring granite countertops, stainless steel appliances, laminate flooring and contemporary colour scheme. This corner unit boasts floor to ceiling windows with Northwest exposure. Centrally located next to new library, shopping, daycare facilities and a very short distance to recreation and West Coast Express. Comes with parking, Locker and additional in-suite storage. The building is still under additional 4 year warranty. OPEN HOUSE: SAT, JUNE 4, 01:00-03:00 PM. [OAC: -Mortgage- Downpayment: $19,000, Monthly: $1,700]. Welcome to Solaris! Impressive 1,001 SQFT, 2 bdrm, 2 bath plus den home offers an open & spacious kitchen featuring granite countertops, stainless steel appliances, laminate flooring and contemporary colour scheme. This corner unit boasts floor to ceiling windows with Northwest exposure. Centrally located next to new library, shopping, daycare facilities and a very short distance to recreation and West Coast Express. Comes with parking, Locker and additional in-suite storage. The building is still under additional 4 year warranty. I have listed a new property at 4 19240 119 AVE in Pitt Meadows. I have listed a new property at 305 12099 HARRIS RD in PITT MEADOWS. Great opportunity to have your office at a high tech new building. Your neighbouring businesses are Orthodontics, Yoga Studio, Notary Public, and Dentist's Office. On Ground Level, it hosts Pitt Meadows Public Library as well as Waves Coffee amongst numerous other anchor businesses. This corner office is located on the 3rd floor with floor to ceiling windows which welcome plenty of light as well as a view of downtown Pitt Meadows. It is currently equipped with brand new flooring, kitchen, drapes and paints, ready to be used as it is, or partitioned for your specific business needs. Possible Rental Income: $16 per SQFT per annum, plus operating expenses in the amount of $10 per SQFT per annum. This would approximately translate to $2,310 per month gross rent for 1,066 SQFT office space. Also listed For Lease on MLS V4040017. Great opportunity to have your office at a high tech new building. Your neighbouring businesses are: Orthodontics, Yoga Studio, Notary Public and Dentist's office. On Ground level, it hosts Pitt Meadows Public Library as well as Waves Coffee amongst numerous other anchor businesses. This corner office is located on the 3rd floor with a floor to ceiling windows which welcomes plenty of light as well as a view of downtown Pitt Meadows . It is currently equipped with brand new flooring, kitchen, drapes and paints, ready to be used as it is or partitioned for your specific business needs. Basic rent is only $16 per SQFT per annum, plus operation expenses in the amount of $10 per SQFT per annum. This would approximately translate to $2,310 per month gross rent for 1,066 SQFT office space. I have sold a property at # 303 12069 HARRIS RD in Pitt Meadows. Concrete and steel construction in Pitt Meadows Only towers. No detail has been overlooked in these beautifully appointed suites with gleaming granite counter tops, stainless steel appliances and large spacious kitchens. Floor to ceilingwindows allow natural light to flow throughout the home. Solaris offers a floor plan for everyone and spaces that are perfect for entertaining or relaxing. Amenities such as West Coast Express, recreation and shopping are at your doorstep not to mention the future new library and commercial area currently being constructed inside the development. Presentation Centre open Monday-Thursday 1-4 pm and 12-5 pm on weekends. Please contact listing agent for brochure. I have listed a new property at # 303 12069 HARRIS RD in Pitt Meadows.